To be honest, there were some areas (North Midlands for example) that were only briefly affected. But schools shut down, offices closed down and business generally seemed to grind to a halt. I could feel the level of irritation rising with each successive failed call. They even started muttering about how they should think about dumping some of these companies if they can’t support them properly. The thing is, it doesn’t have to be like this. With the right systems in place, a business can let their employees work from anywhere. It could be at home, it could be on their narrowboat. 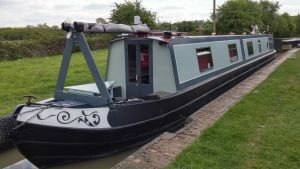 You can read about my “work anywhere” experience of starting my business when I was living on my canal boat in an earlier post. OK, I can hear those of you who run manufacturing businesses are now shouting at the screen that they can’t make things if staff cannot get in. Well that’s true, but you can still run sales, marketing, finance and, most importantly, customer support from anywhere these days. With the right combination of physical and cloud technologies and the right IT Support your business can carry on, whatever the British weather does next. Get in touch on 01782 444563 or info@ctnorthstaffs.co.uk to learn more.